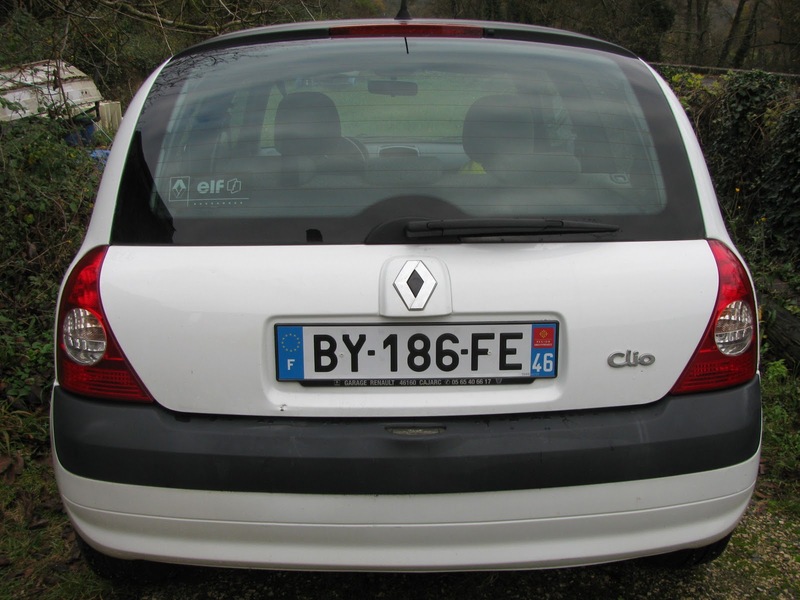 Buying a car in France has been quite an adventure! With the help of several friends, though, it's all gone smoothly. Jean and Ankie helped with translation and transportation to and from the garage where I bought my car. Christiane and Jackie at the Mairie helped me by filling out the registration paperwork and sending it off to Cahors. Greg helped by putting me in touch with his guy, Trystan, who sells car insurance. 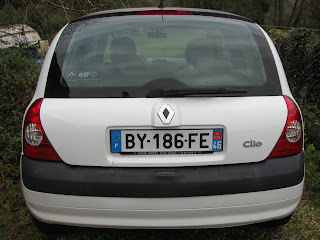 Yesterday, I put the final piece of this 'buying-a-car-in-a-foreign country' puzzle in place. Newly issued carte grise in hand, I went to my garage in Cajarc, and they made and installed my new license plates. Seems funny to me that the dealer actually makes the license plates, but hey, it's not my system to criticize! 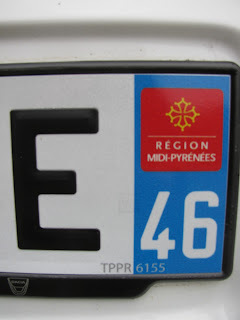 The red box indicates my region, the Midi-Pyrenees and 46 is the number of my department, identifying my car as living in the Lot. I'd like to think the E stands for Evelyn! Ya think? How Do You Move a Christmas Tree?